Simplicity Archives circa 1950 doll clothes fit vintage and modern 15 ? baby dolls. 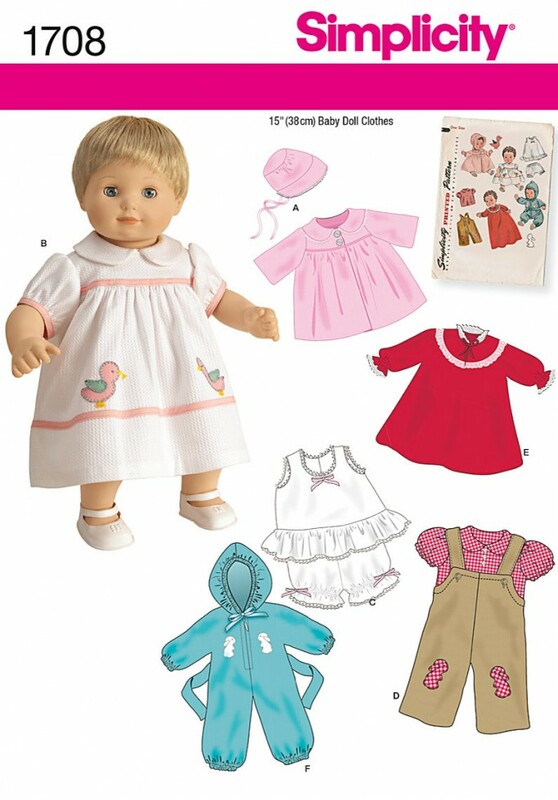 Pattern includes doll coat and bonnet, dress, slip, bloomers, overalls, shirt, nightgown and jumpsuit.